Fantasia Capri 36″ ceiling fan with light kit in gloss white and stainless steel finish is compact, traditional and features a flush mount design. 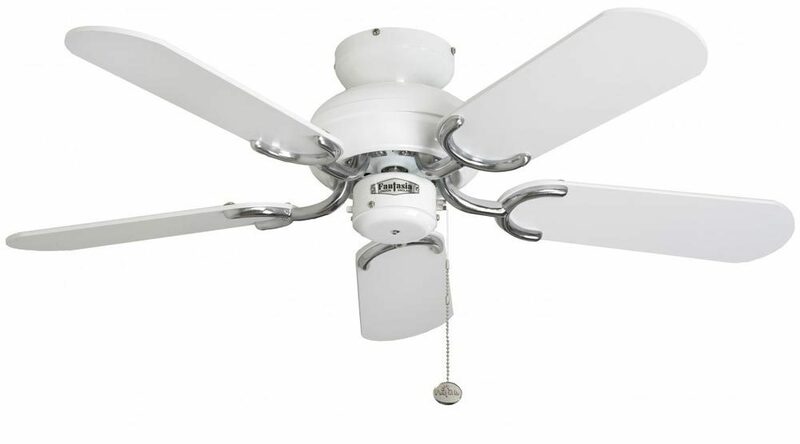 Fitted with hanging pull chain that operates the three fan speeds. This Fantasia Capri 36″ ceiling fan without light kit in gloss white and stainless steel finish is virtually silent and supplied with a manufacturers 10-year motor guarantee.